~ I started my blog, this bipolar1blog, less than two years ago, on August 3rd, 2014. 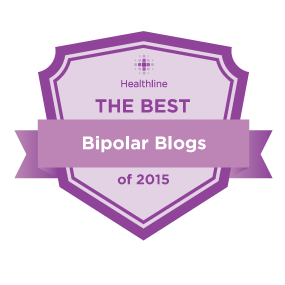 ~ And it has been chosen as one of the best bipolar blogs by Healthline.com in 2015. 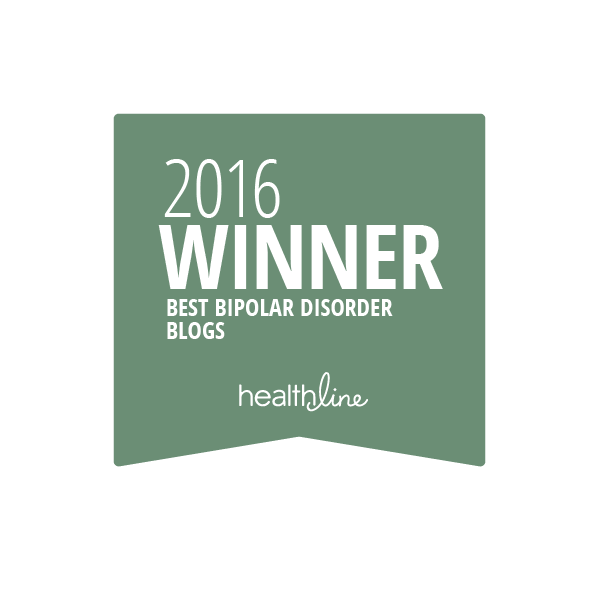 ~ It has been chosen as one of the best bipolar blogs by Healthline.com in 2016. ~ After sending in one of my poems, I was invited to blog for HuffPost by Ariana Huffington herself! (http://www.huffingtonpost.com/samina-raza/) I have 13 posts on HuffPost now! Oh, we lament, and cry, and feel anxious and hopeless because of our illnesses enough. BUT today, I’m leaving that all behind and like my friend Dyane said, I’m simply going to soak it all in! I am very proud of myself, that what I created is good. I write with confidence, after all it is something with which I am very familiar. I never second guess myself here, on bipolar1blog. I am proud that the “world” even seems to appreciate what I am doing here! I have gotten a few comments to the effect of “I was having suicidal thoughts, but after reading what you wrote, I changed my mind” !!! Now that is ENORMOUS! That is the most gratifying thing ever, that you may actually have helped save someone’s life! Also, I’ve had a few comments that said they absolutely loved my blog, one to the effect of “You have one of the best mental health blogs I’ve seen, period.” !! Pretty amazing, I am proud and humbled and happy that my blog is making a difference, and it is appreciated! Thank you dear readers, for reading, commenting, and offering support and love when I needed it, and allowing me to do the same for you. I love reading your blog and I’m definitely going to check out your other writings on Huffington Post and IBPF! Thank you so very much! I really appreciate you and your comment! And I really like your blog as well! Haha, love it, thank you dear Dyane, “I’m gonna soak up the sun” tomorrow for sure! Hello Biplar1Blog. I am so impressed with what you have done. Congratulations!!!! I am dreaming that my blog and writing will be well liked as well. I have just started mine and let me tell you I am not very tech savvy at all, so it took me a very long time to even get it up and running to the point that it is at now….. the very beginning basics of a blog. Congratulations on starting your blog! I’m sure many good things will come of it, just keep writing. If your write from your heart, it will be amazing! Awesome! I have always known that you would help other people…so glad to see it happening! !